Navigare 2018, the free-entry boat show dedicated to cruising yachts, ribs and fishing boats and sea trials, now at its thirtieth edition, is currently taking place in Naples, at Circolo Posillipo. The show has been inaugurated on April 14th for all boating enthusiasts and boat owners and it will last until Sunday, April 22nd. Entry will be open to the public during the weekend from 10 am to 7 pm, while on week-days each exhibitor is arranging meetings with interested clients. 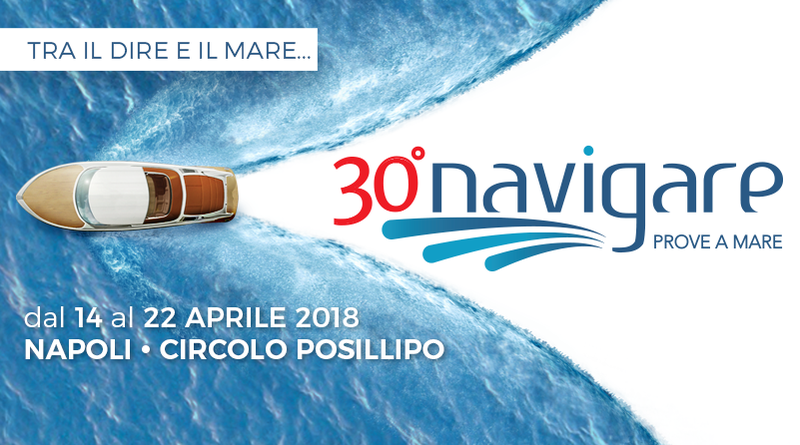 Visitors will have the opportunity to meet the novelties in the boating sector, including the excellence of the Made in Italy. 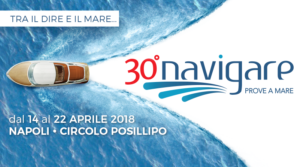 Organised by ANRC (Associazione Nautica Regionale Campana), with the administration of Gennaro Amato, Navigare is exhibiting 48 boats including ribs, yachts and fishing boats in the small port of Circolo Posillipo. There are various stands representing 27 companies in the sector, and some on-water demonstration will be made. Thanks to the exhibitors, manufacturers and dealers, the importance of the leisure boating sector will be underlined both for what concerns the employment context and the economy of the region, including the growth of the touristic attractiveness. Italiamarine’s range is on display with seven models, including the high-performance rib Positano 31, powered by two 350hp engines and capable of reaching a top speed of 72 knots. Nautica Salpa presents two ribs: the 9.2-metre Soleil 33 with outboard 400hp engines and the Limited Edition of the Soleil 23. The yard is also showcasing two fibreglass boats, the 7.6-metre Laver 23 and the Laver 38. Fiart Rent, the yard’s charter company, is showcasing the seawalker, a 9.99-metre boat powered by Volvo Penta 220hp engines, and the 13-metre yacht 44 featuring Volvo Penta Ips 500hp engines. During the show, a 20% discount will be offered to those who wish to rent one of the 11 boats in the range. Rio Italia is showcasing two boats: the 14-metre Colorado 44 and the Paranà 38. Esposito mare is presenting its fishing boats, the 11.6-metre Positano Open 38 and the 7-metre Positano 23, powered by electric outboard engines. Several companies manufacturing marine engines will also attend the show. Nautica Mediterranea Yachting, Suzuki dealer, showcases the DF350A Dual Prop System, the new entry in the outboard engines for the 2018 nautical season. Marine System for Tohatsu engines will exhibit prototypes for the MFS15 EFI White and the MFS5 GPS, the most lightweight outboard engines with electric boost without batteries. Centro Nautico Marinelli is exhibiting Honda engines, the BF 40 D and the BF 100.